The tools you need to deliver timely information. Parents experience greater ease, comfort, and joy when they have knowledge about how to parent. You, your staff and families will all have access to all of these publications. 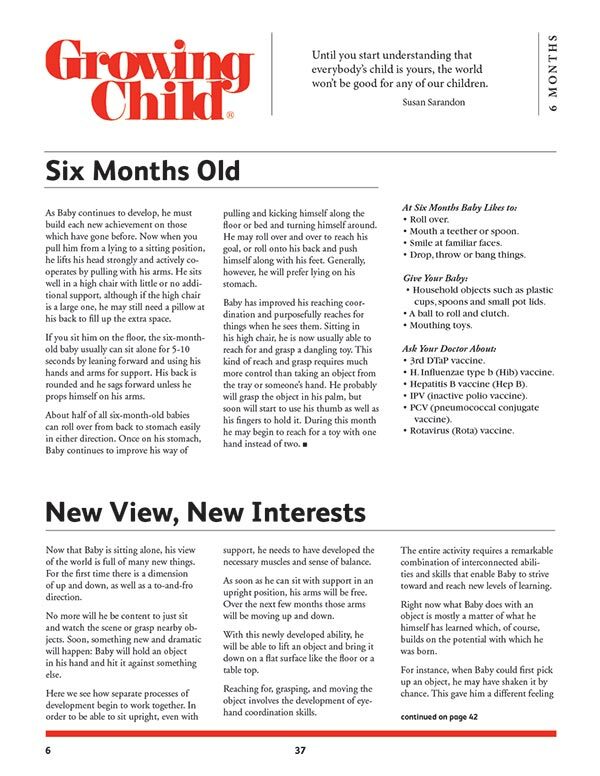 A monthly child development e‑newsletter timed to the monthly age of the child from birth to six years old. 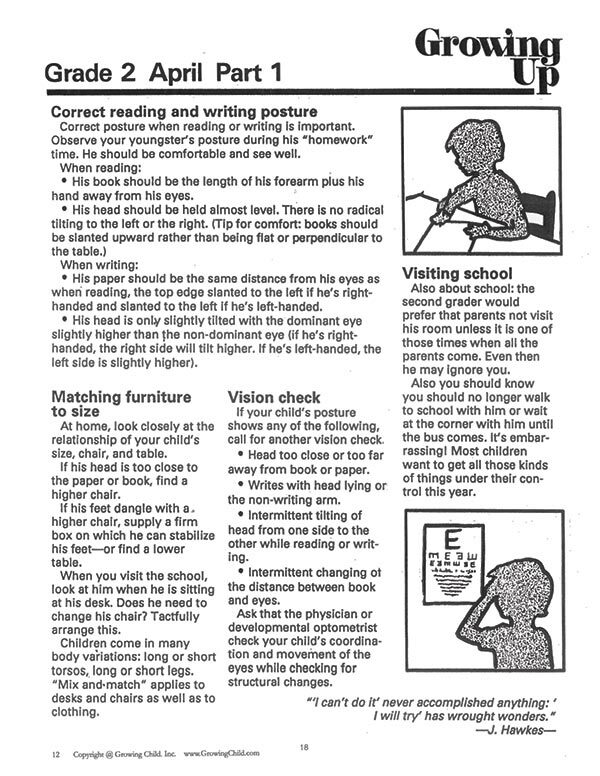 Check points for development. Click to see full issue. 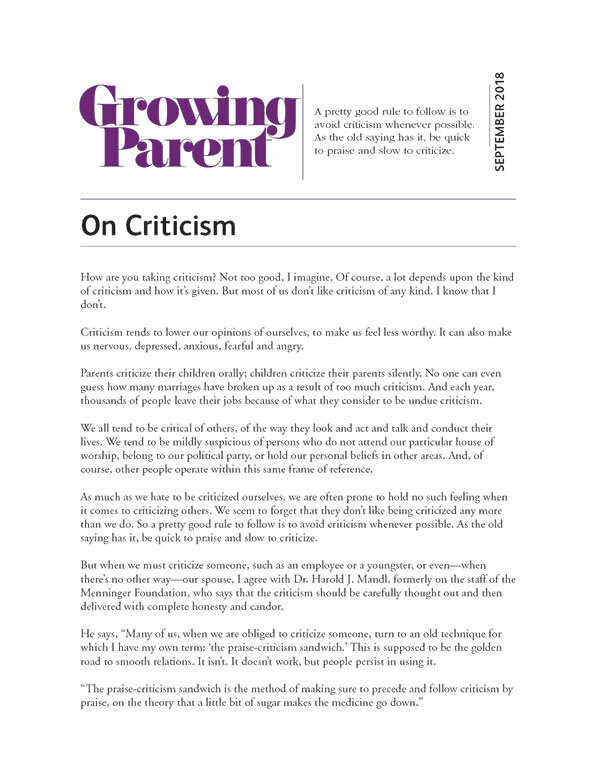 A monthly e‑newsletter that helps parents grow as adults. It is important that parents grow in their personal development to help enrich the lives of their children and themselves. 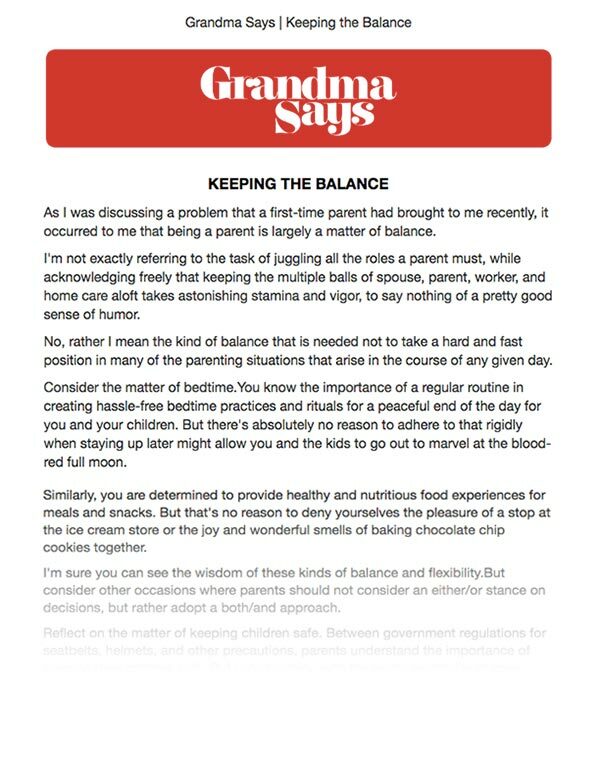 Twice‑a‑month e‑newsletter written for parents by a wise grandmother, professional educator and author. Activities for a child up to the age of six years old. One father wrote that every day his daughter asks: "What is on the calendar today?" 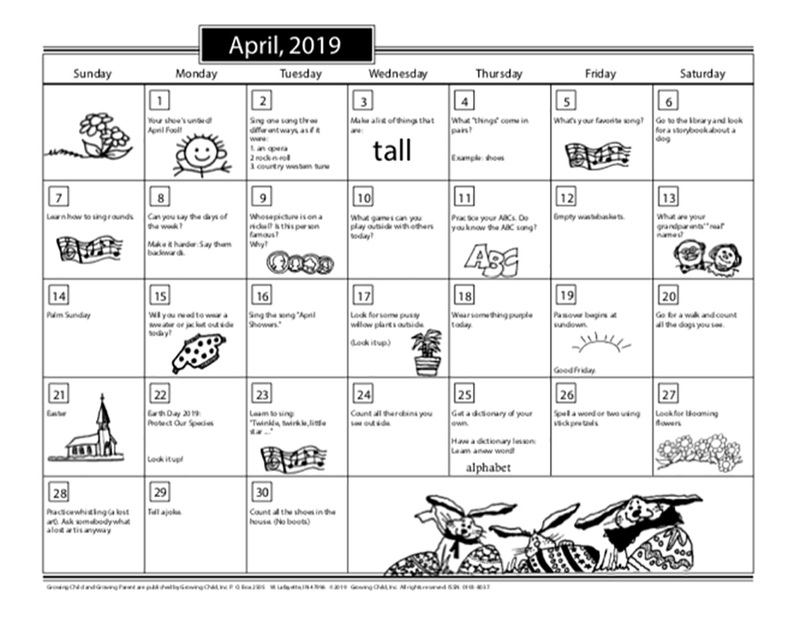 Sent monthly during the school year, an e‑newsletter with a series of short, easy‑to read articles timed to the grade level for parents of children in kindergarten through graduation. 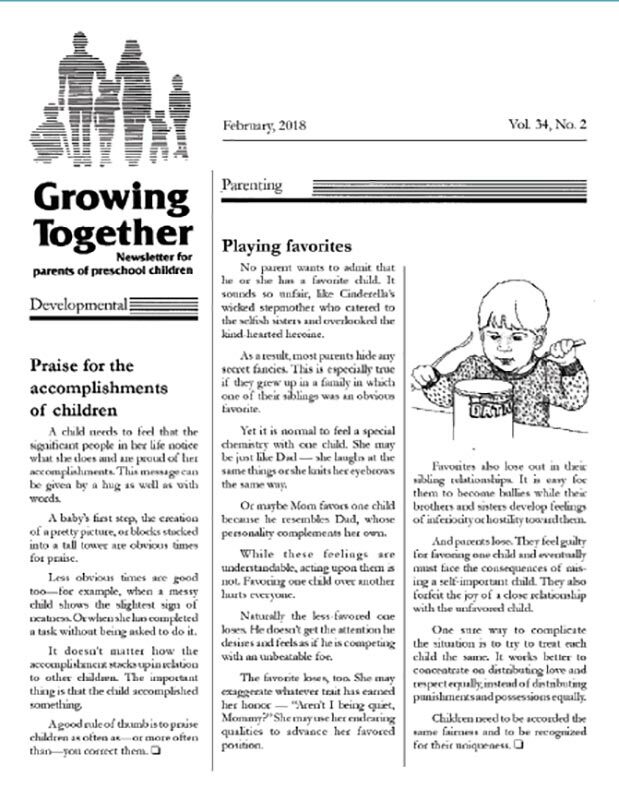 A four‑page wrap‑around in‑house newsletter, with general child development articles selected from our collection. 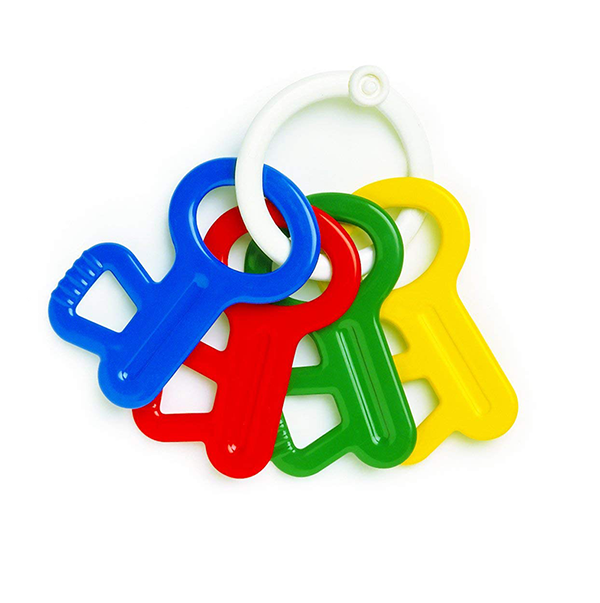 It has been used in child care centers since 1984, and also can be reproduced and shared with parents who do not have access to e-mail. GUARANTEE: Our newsletters are free of advertising and addresses are used only to administer subscriptions and are not disclosed to any individuals or organization.